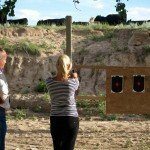 Fulfill Your Dreams of Being a Real Cowboy! 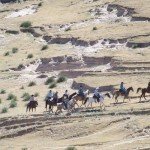 You may arrive and depart any day of the week but bear in mind to get the most riding in a 6 night package it is best to arrive on a Monday and depart on a Sunday since Sunday is the staff’s day off so there is no option to ride. Rates are quoted per person sharing. Rates exclude 2.9% Tax. Gratuities are not included and at your discretion but 15% is standard in the US. 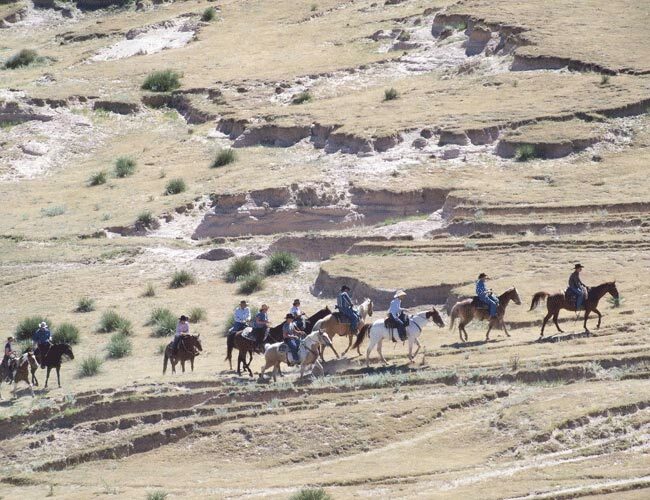 Includes – 4 or 6 nights accommodation, all meals, non alcoholic drinks, all riding (there is no riding on Sundays), ranch activities, US$50 alcohol credit per client*. Excludes – Flights, tips, transfer costs, 2.9% Tax & some alcoholic drinks*. However we can be flexible on arrival/departure dates. Note Sunday is a non riding day at the ranch. 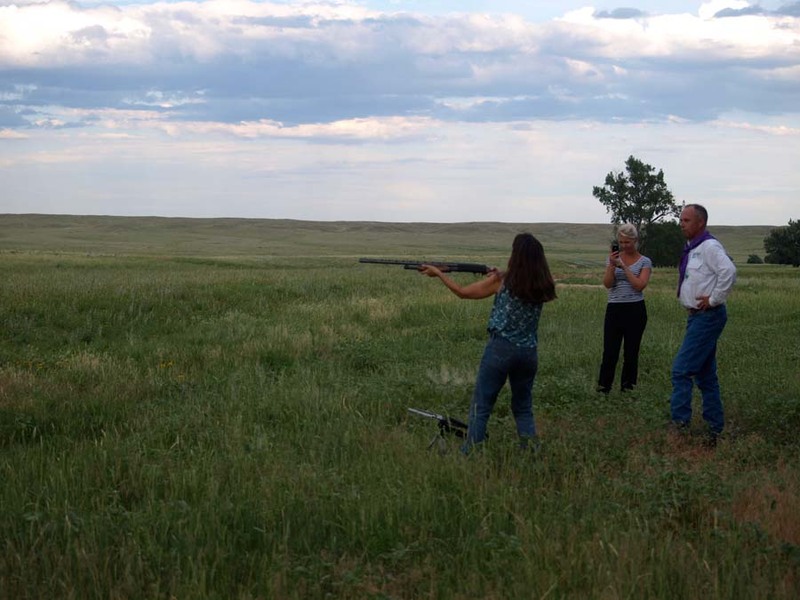 There is a shuttle service to pick up guests from the airport or hotel in Denver to the Colorado Cattle Ranch. The return cost per vehicle is US$100. 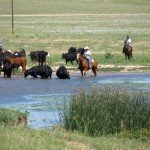 Head out to the wild wild west of Colorado, to an authentic working Cattle Ranch, where you can fulfil your dreams of being a real cowboy if only for a week. 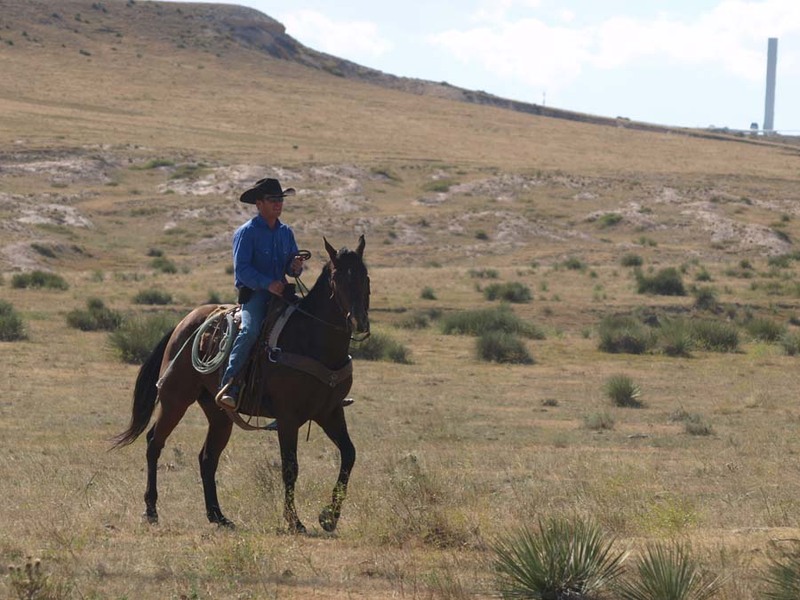 Tom and Darcy Carr have successfully created that working ranch routine, where guests can arrive and quickly opt in with all the cowboy duties. 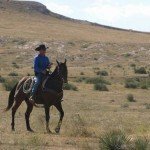 Even if you haven’t ridden western style or roped a calf before, it’s amazing how quickly, their team of professional cowboys will get you up to speed. 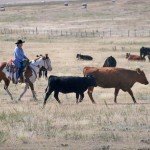 Colorado Cattle Ranch Company covers thousands and thousands of deeded acres of prime ranch land where they own and work 800 head of cattle every summer. 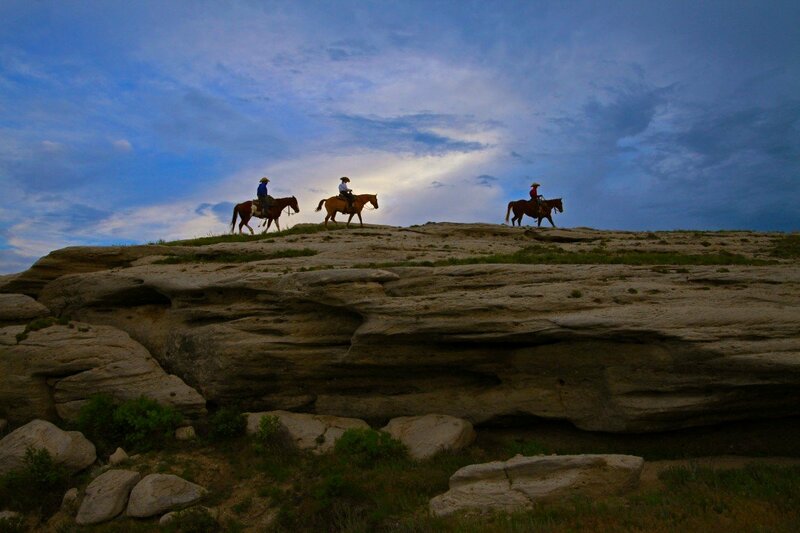 The ranch owns nearly 90 well bred and highly trained quarter type horses, most registered in the AQHA or APHA. Each horse is selected for good bloodlines, great training and sensible attitude. 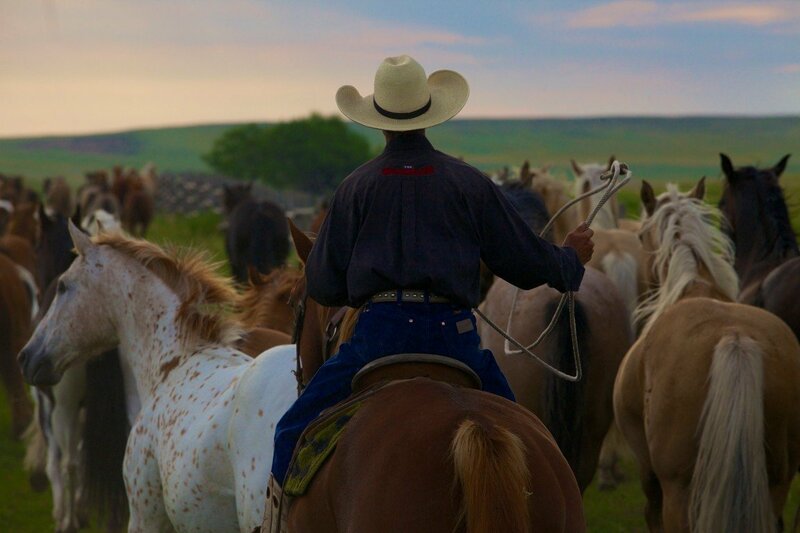 They are trained to rope on, work cattle on and carry guests through the daily ranch routine. Some are quiet for beginners, others are more highly strung for experienced guests and every one is trained to be responsive, neck rein and work cattle. It’s also very much encouraged for guests to follow their own line and avoid any nose to tail riding. Definitely a working Cattle Ranch but Tom and Darcy understand it’s a Cattle Ranch holiday for most too, and they offer something which gives you the best of both worlds and includes; gathering cattle off the range, doctoring sticks, cattle drives, branding calves, checking water, salt and fences – as much as 50 hours of riding per week AND all your creature comforts like a massage, heated indoor swimming pool, sauna, hot tub, well stocked bar, great food, immaculately clean log cabins accommodations and good old friendly, warm hospitality. 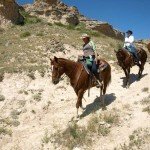 In addition you can ride out further and enjoy a night camping out in the tipee’s set up for a special western experience. 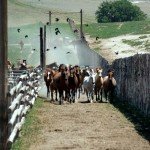 Cattle Ranch Horses – 85% of the herd are ranch bred and consist of a mix of Quarter Horse, Thoroughbred, Belgian and Draft. 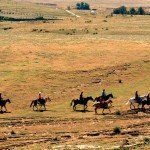 Level of Riding & Pace – Rides are tailored to suit the guest’s ability and requirements and can include fast work for experienced riders but equally a gentle pace for novices. The terrain ranges from grass meadows, where it is possible to canter to more mountainous trails. 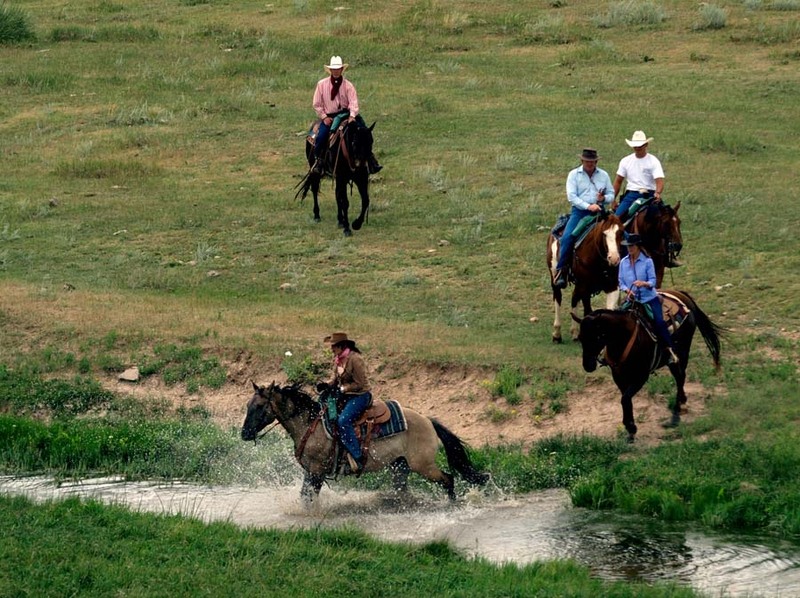 The ranch discourages ‘nose to tail’ riding associated with a lot of ranches in the US. 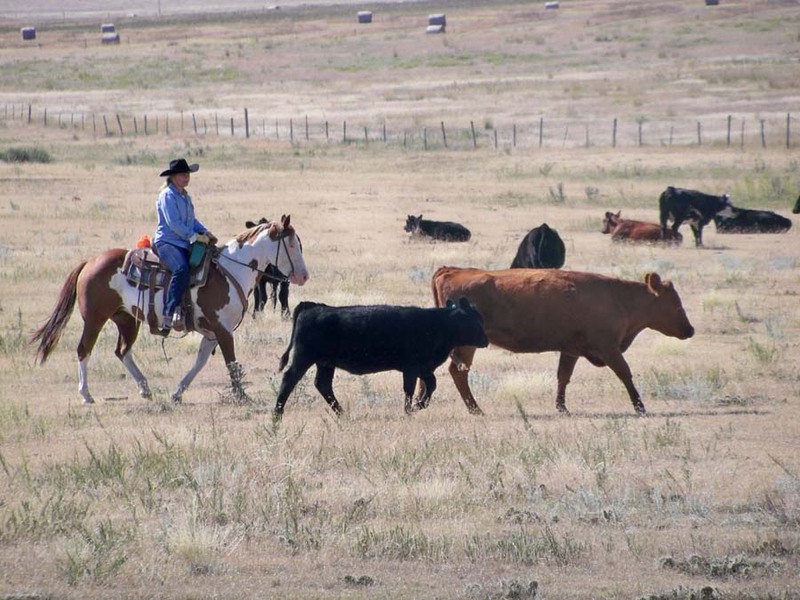 Weight Restriction – The Colorado Cattle Ranch can generally provide horses for most weight types. If the rider is over 210lbs, please inform prior to arrival so we can make sure we have the correct weight carrying horses available and in work. 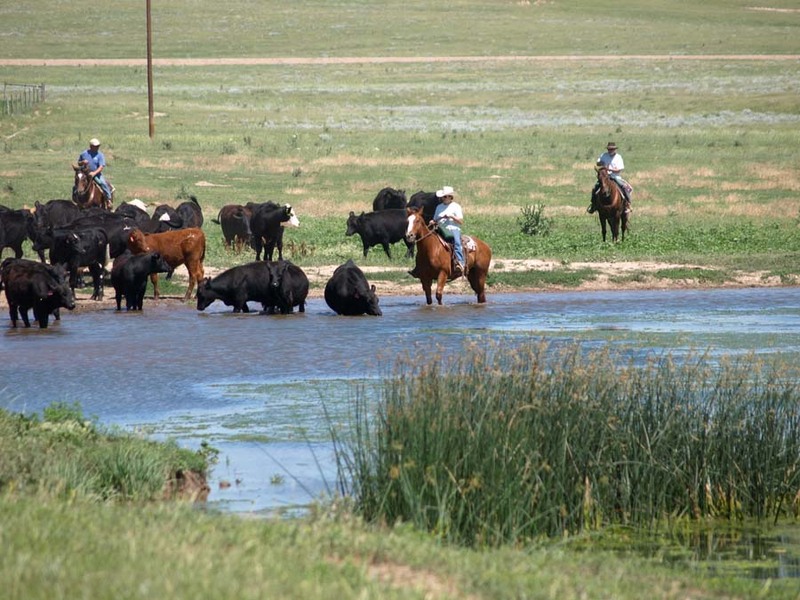 Cattle Ranch Group Size – Maximum 12. 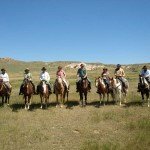 Guests at the Cattle Ranch sleep in either the log bunkhouse which was the original homestead on the ranch or in one of the charming log cabin duplexes. The bunkhouse was built in 1897, added onto in 1909 and again in 1921. The bunkhouse has been refitted and modernized with five private bedrooms designed for couples. 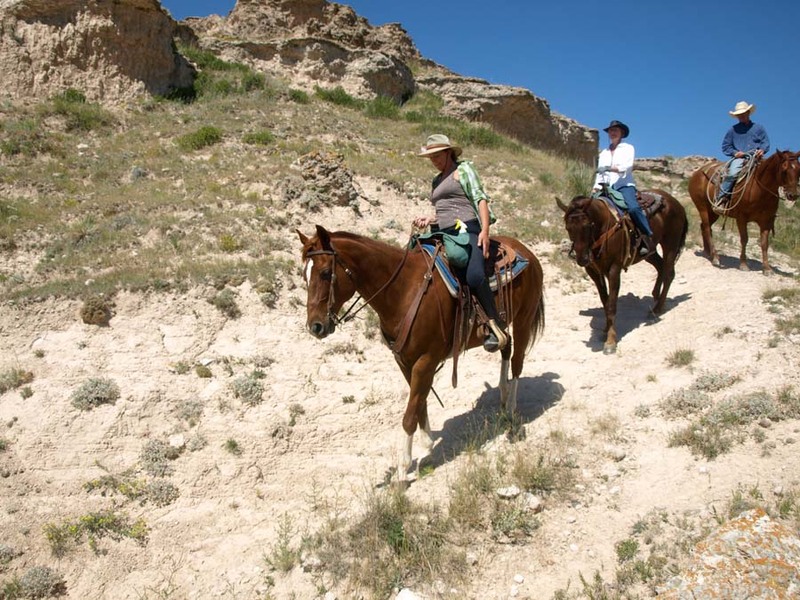 Each bunkhouse room – the Longreen, the Meadow, the Canyon, the Blackrock, and the Farside – have a private bathroom, one queen size bed and a private entrance. 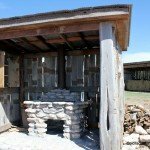 Newly constructed log cabin rooms are designed for singles and friends travelling together and have two comfortably sized individual beds. The cabins also have private bathrooms and entrances. 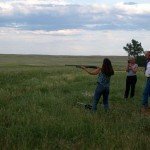 Both the bunkhouse and cabin rooms at the Cattle Ranch share excellent views of the meadow where the sunrise greets guests every morning. The porches are favourite gathering spots for early morning coffee or a quiet spot to read a book in the afternoons. 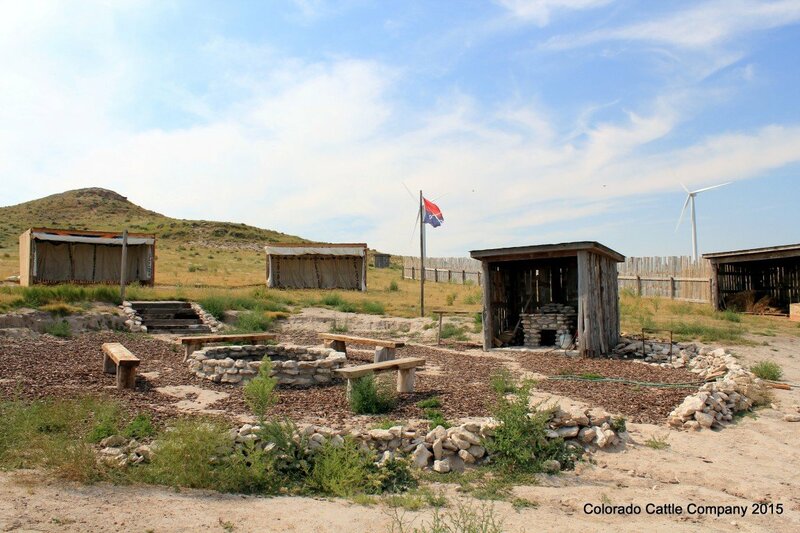 The horseshoe pit, roping practice area, hot tub and swimming pool are located nearby. 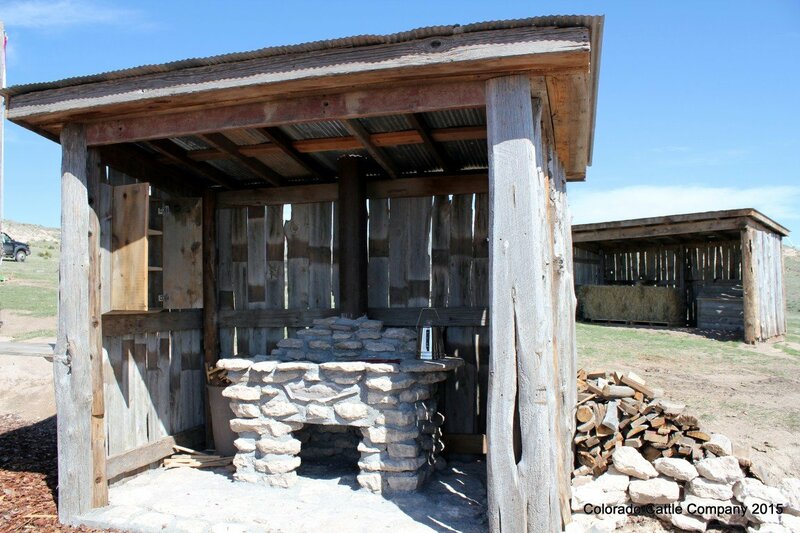 All cabins at the Cattle Ranch are air conditioned and heated for comfort in all weather. Unlimited hot water soaks away the stiffness and fluffy down filled comforters are snug and cozy. Each room has a mini coffee bar with a coffee maker and all the fixings for coffee or tea and a small refrigerator. Soda pop and baskets of goodies are also available in the main lodge for snacking. Linens and towels are furnished for all rooms including bathrobes and flip flops. 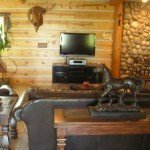 The main lodge at the Cattle Ranch is the meeting place for meals, the location of the laundry area, indoor pool, hot tub, gift shop, coffee bar and snack area. Meals – At the Cattle Ranch Guests are treated like family on the ranch and everyone eats together in the main dining room. Make sure to bring your appetite with you because three home cooked meals are served each day and snacks are available if you still have room. Breakfast meal choices range from eggs, bacon and sausage, Sheila’s famous cinnamon rolls, cold and hot cereal, fruit, yogurt; occasionally biscuits and gravy or breakfast burritos are also served. On Saturday morning, the boss cooks her specialty – homemade pancakes! Lunch is normally served in the dining room unless you are out on the trail or at a neighbour’s for the day. Sandwiches and soups, fruit, bread and salad are typical lunch meals. Lunch on the trail is brown bag containing sandwiches, fruit, chips and a dessert. 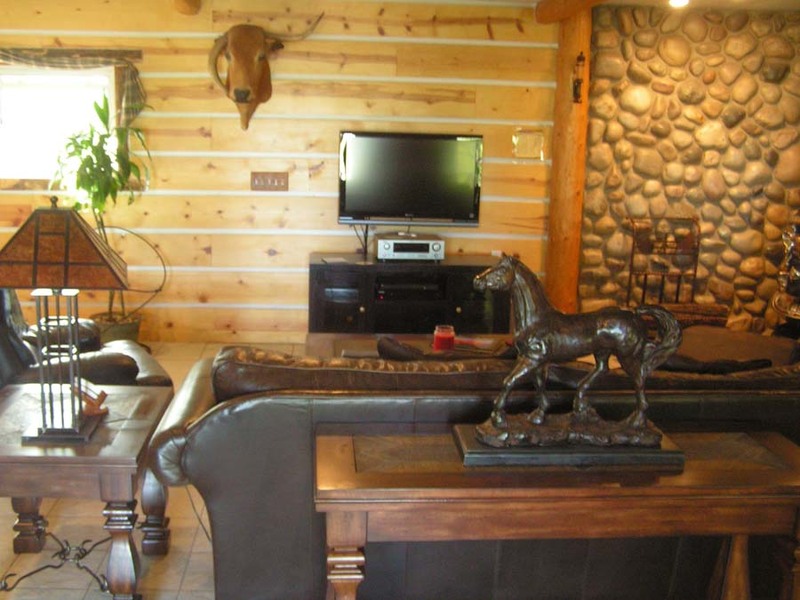 The evening meal at the Cattle Ranch is served in the dining room nightly. Margarita night is on Tuesday evening where the ‘all you can drink’ Margaritas are on the house. Other evening meals may include BBQ ribs, chicken, buffalo, beef or pork served with appropriate side dishes, bread, salad and dessert. Vegetarian and other special diets are happily catered to with advance notice. Drinks – Coffee, teas, juice, soft drinks and water are always available at the ranch. In terms of alcohol, the ranch has a selection of beer, wine and spirits on sale which you can buy by the bottle (not the glass). Mixers are complimentary. Guests would normally buy the bottle and bring the bottle to their room if not finished and bring out again the following day. 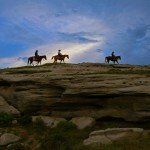 Horse Riding Holidays at the Cattle Ranch are part of the Zara’s Planet collection of Horse Riding Holidays USA. Please Ask About – Extra add-on nights in Denver. 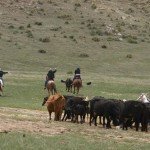 At Colorado Cattle Company you will ride the range helping with any cattle work that is going on at the time of your visit. 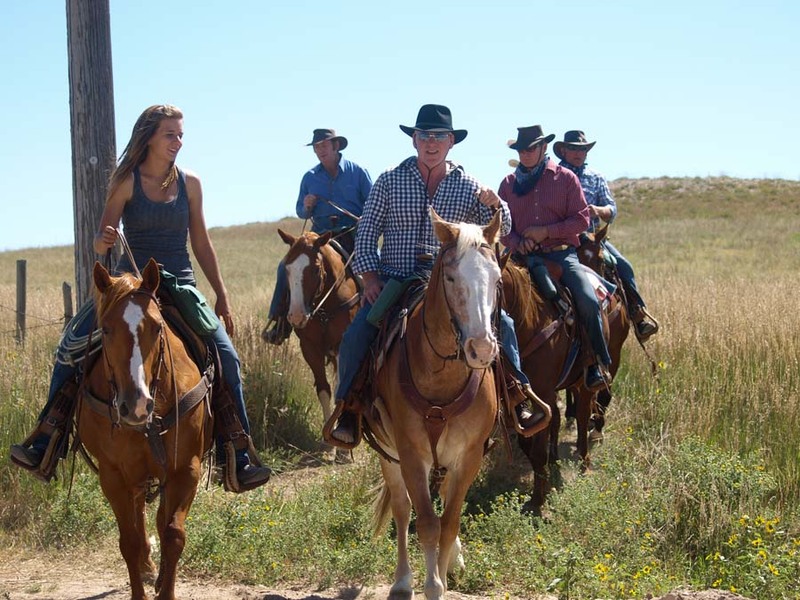 There is normally lots of time in the saddle and you can get involved with the horses and cattle as much as you wish. All instruction necessary is provided in a fun and enjoyable way. 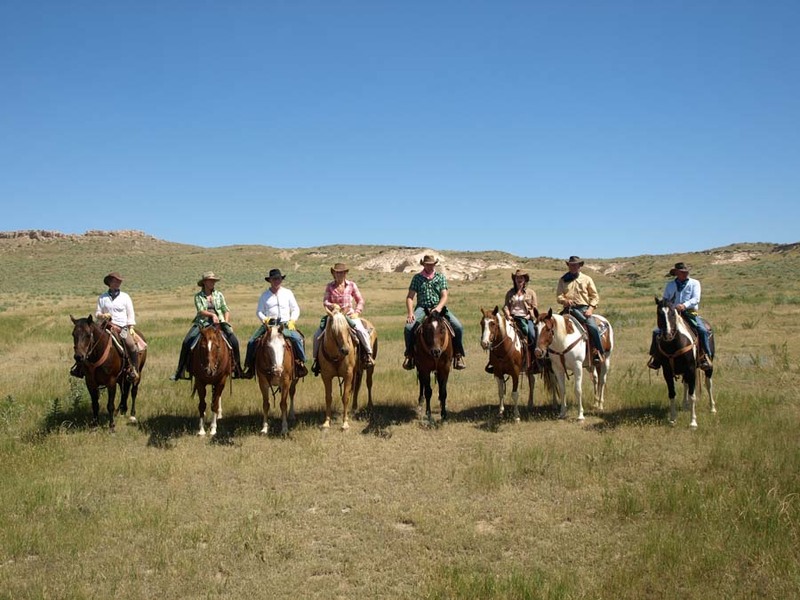 Riding tuition is very much on the hoof, with the wranglers giving you guidance and instruction as you ride. 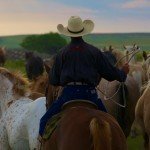 If you also participate in Cowboy School, you will learn from real stockmen how to read cattle, work cattle and may improve your riding and horsemanship skills. 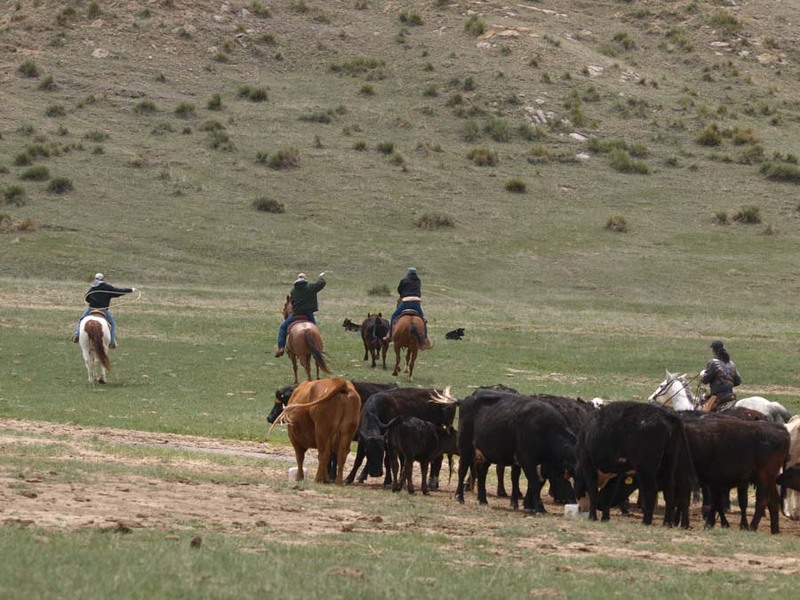 Most guests mix the cattle work with some relaxation time. Spring (May and June): Calving and branding as well as gathering, sorting and moving the pairs to summer pastures. 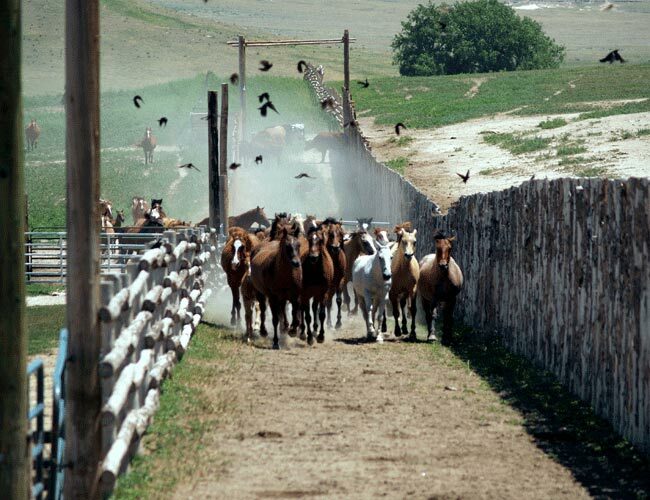 Fences must be checked for broken or damaged areas. 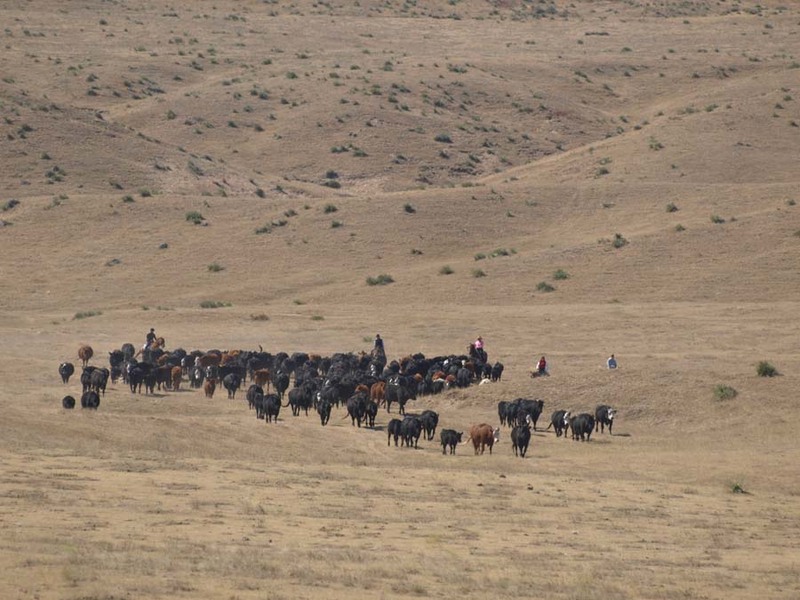 Short one-day cattle drives are weekly events until all cattle are settled for the summer. Spring activities can be hard to schedule; weather, sickness, calving and feeding all play a part in the daily work. 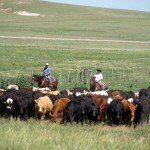 Summer (July, August and early September): Moving cattle, gathering bulls, checking water, salt and fences, looking for strays and fence jumpers and driving them back where they belong. 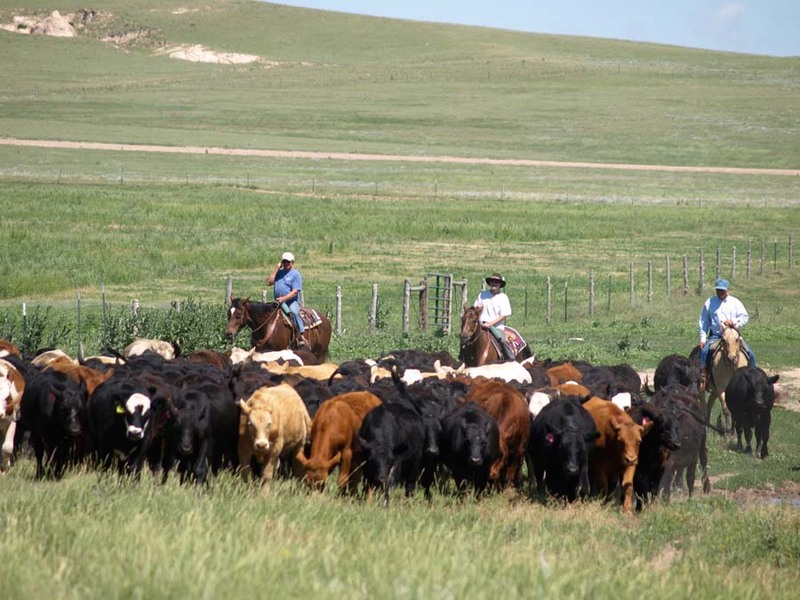 Fall (late September and October): Gathering and sorting, vaccinating and weaning the calves, cattle drives usually occur several times a week as cattle are shipped to winter feedyards, draining water tanks and laying in feed for the winter. Before breakfast, at around 06:00am, the horses are all caught and checked. 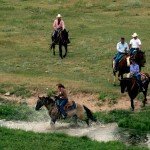 If you wish you may rise early to help with this or arrive just in time to saddle up your own horse ready to ride after breakfast. Breakfast is served between 8:30am and 9:30am unless there is a big gather or cattle drive, when it might be earlier. 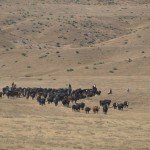 After breakfast the cowboys go out to work cattle. 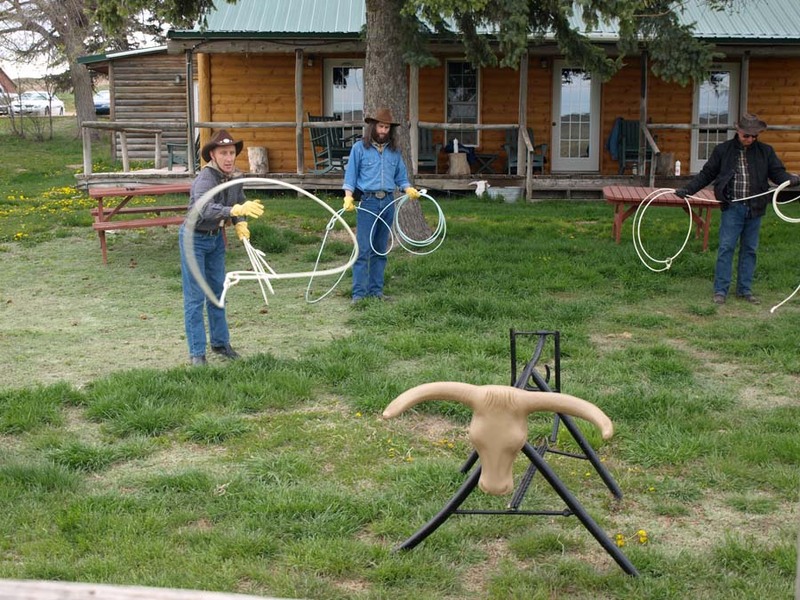 There is cattle work every morning for guests who want to participate in the real thing. 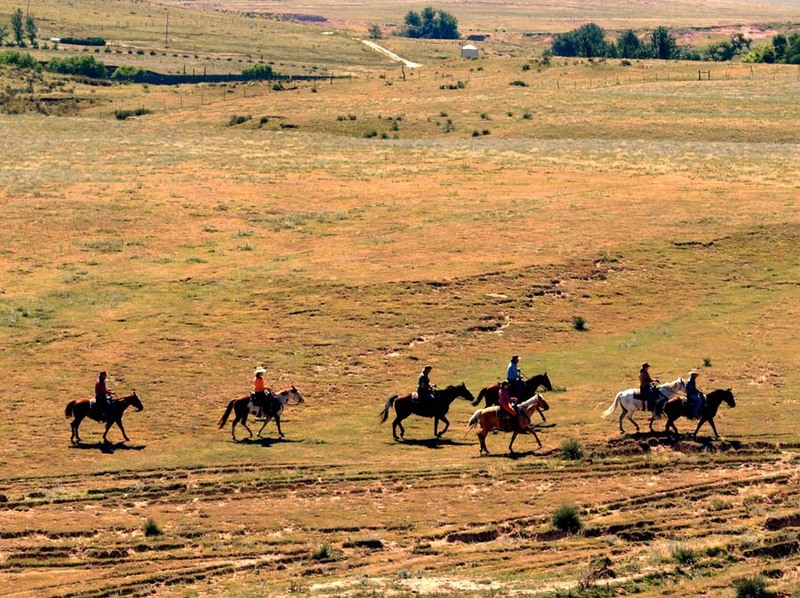 You generally ride out from the corral at 9:30am and return around 1:00pm unless the work takes you too far from the ranch to return for lunch. Lunch is served at the ranch unless you are out on the trail driving cattle or helping a neighbour. Lunch is generally served between 1:30pm and 2:30pm. After lunch Cowboy School meets out in the arena/round pen area or by the roping dummies. 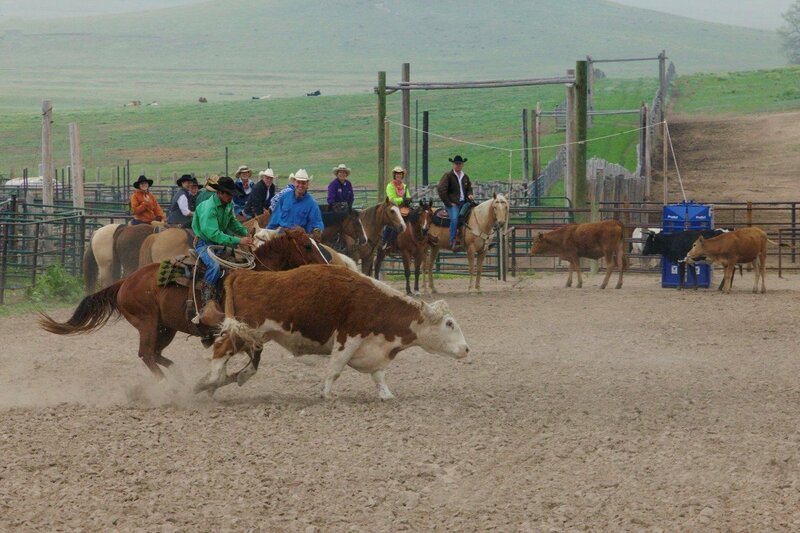 This includes roping lessons, team penning, cattle handling, cutting instruction, horsemanship and gymkhana events. Some days there is cattle work to do in the afternoon, in fact some days the “Cowboy Crew” may not arrive back at the ranch until dinner time! 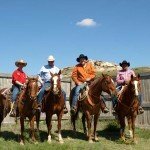 The Cowboy School is the perfect place for you to improve your riding skills, learn to handle cattle and learn to rope. 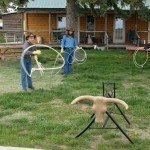 Roping is the most popular activity. 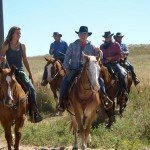 Colorado Cattle Company offers a step by step program that they have invented, developed and refined that can get any guest – no matter what their previous riding experience from “never ever” to “roping off a horse” in one week. 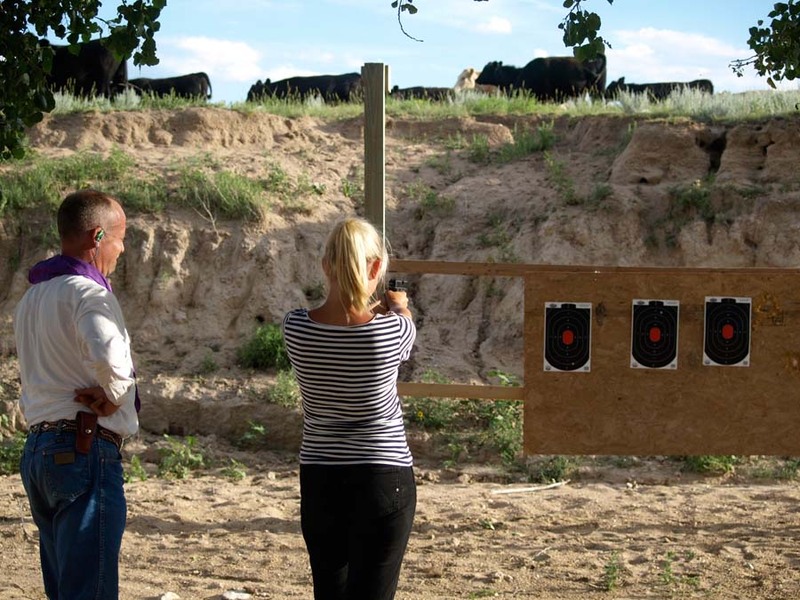 They have several teaching aids they utilise to take guests from beginner right on up to tracking live cattle. Lessons are focused so that guests can learn the correct way to handle a rope and how to handle a rope from a horse. 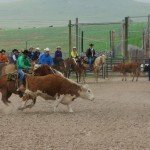 In addition to roping lessons, Cowboy School can include team penning, team sorting, cutting, reining, cow catch, tag, barrel racing, pole bending, keyhole race and other fun games that teach cattle handling skills and allow you to improve your riding while you are having fun. 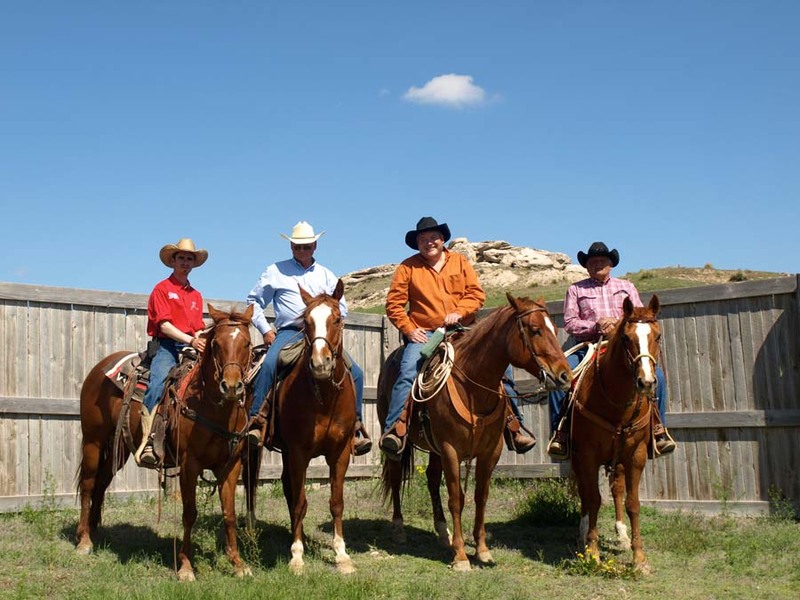 Your instructors are professional cowboys – guys and girls who earn their living riding a horse and working cattle. 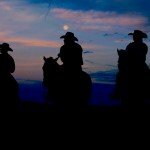 Many are members of the Professional Rodeo Cowboys Association (PRCA) and the United States Team Roping Championship Association (USTRC). 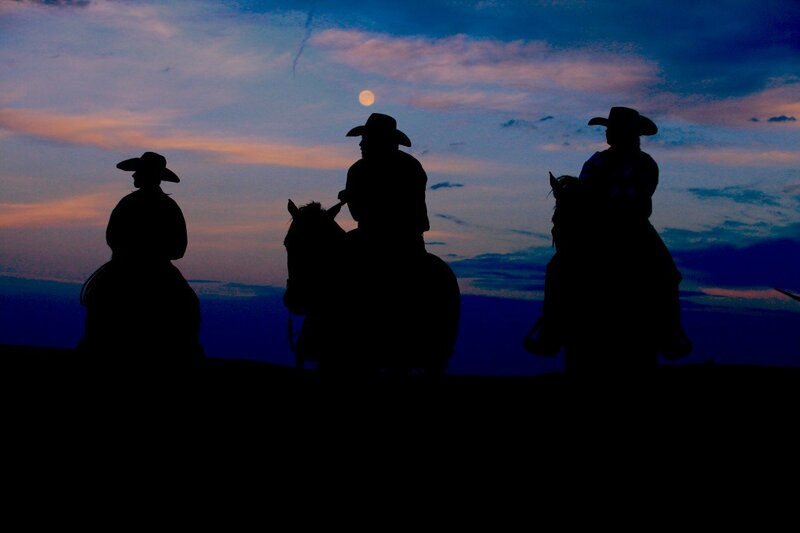 These cowboys have not only competed in many, many rodeos and team ropings, they have also won many competitions. 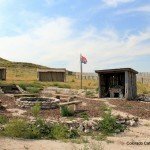 They have years of knowledge and experience and can share that knowledge with you.